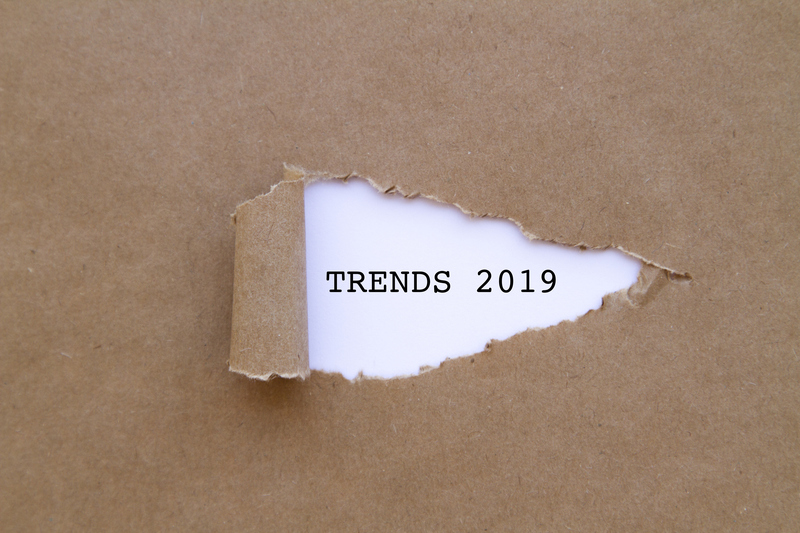 2019 is likely to be one of the most dynamic years in recent memory for nonprofit technology. There are a number of transforming and exciting trends, ultimately resulting in more and better choices for nonprofit organizations looking to leverage technology to support and deliver their missions. The most significant trend is the continued movement of commercial companies into the sector. The trend started several years ago with Salesforce.com doubling down on their investments with nonprofit solutions which has led Salesforce.org to grow quickly in both size and reach. The trend continues with Microsoft’s announcements last year of both their expanded commitments to the sector in general, and to the development of nonprofit-oriented solutions in particular. These moves will impact nonprofits in multiple ways. First, organizations now have direct, affordable access to the same powerful, road-tested solutions that commercial organizations use. They also directly benefit from the billions of dollars of R&D that flow into those solutions, money provided primarily by the commercial sector, with the benefits flowing through to nonprofits. Secondly, vendors who have already been serving nonprofits have to reevaluate their offerings in light of the increased competition, often improving their products without a corresponding increase in costs to nonprofits. These factors are fundamentally reshaping the nonprofit technology landscape and will continue to for years to come. A second trend relates again to the existing nonprofit technology vendors. As the market matures, vendors are adapting, expanding and, in some cases, being acquired or making acquisitions themselves. Blackbaud continues to acquire other companies, as they have for many years. However, one of the more noteworthy recent acquisitions was of a company that expands their services to the commercial sector in the area of corporate social responsibility (CSR). The commercial market is obviously much larger, though the breadth and depth of CSR is still evolving. Also of note is Blackbaud’s partnership with Microsoft. Microsoft is taking their typically broad approach of partnering with many organizations and then utilizing those partnerships to target specific industry needs. The link between Microsoft and Blackbaud is focused on a solution to manage resources that address pressing humanitarian crises. Focusing on the mission side of such organizations is newer for Blackbaud, as is partnering with another, larger organization to develop a solution. In another area of the sector, Salesforce.org recently acquired roundCorner, the developers of the enterprise fundraising solution, NGO Connect. This is a first for Salesforce.org and how this will impact current customers is still emerging. However, a company’s first acquisition is always worth watching, both from what we can learn about how they manage acquisitions and because it could point to additional acquisitions in the future. Given the significant scale that Salesforce.org achieved in the past few years, it may look to additional acquisitions to sustain growth and fill in solution set gaps. How this affects existing partners who supply solutions is unknown – they may be acquisition targets, or their features may be woven into the roadmap by Salesforce.org’s expanding product development team. These acquisitions and adaptations mean that nonprofits can expect more solutions from large vendors. This can be a good thing when solutions expand what nonprofits can expect from a vendor. On the other hand, the intent of an acquisition could simply be to capture a customer list or mothball a competing product. When assessing any acquisition, it’s prudent to examine the underlying motive. Certainly though, the trend of acquisitions will only continue. What’s the overall impact to nonprofit organizations? You can expect that the landscape of choices will continue to shift, and, for the most part, better solutions will be the result. The “perfect” ecosystem will continue to be a moving target. However, the idea of a static ecosystem is no longer the goal for forward-looking organizations. Instead there is the realization that the ongoing evolution of technology and your own constituents’ preferences will require ongoing adaptation. Finally, as always, planning is important. With more and better choices in technology, it’s crucial to clearly articulate the goals for your technology, align those to your organizational strategies, and use those perspectives to evaluate and plan. Doing so will help you take advantage of all that is available.